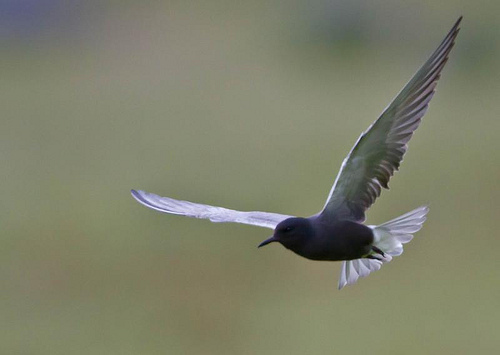 Unlike most other types of terns you will find the Black Tern far inland. The bird loves wetlands. It is sometimes aided by conservationists with little floating platforms. That should make it easier for the Black Tern to breed. 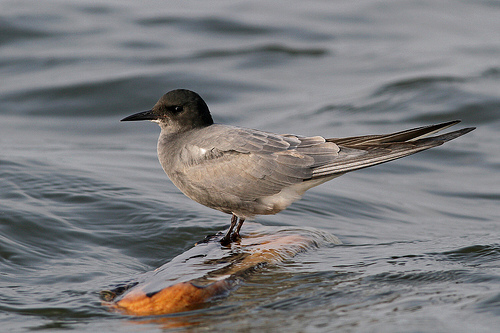 The Black Tern has a characteristic black body with light grey wings.